DM Auto Leasing - LIARS!!!! Thank you for bringing your concerns to our attention. I appreciate you taking the time to speak to the sales manager of our Dallas location, Jeremy Chesshir, to discuss your concerns. I apologize for any miscommunication that may have taken place. We will continue to be in touch with you to manage your lease and provide you with information that will allow you to make a well informed decision in the future. We constantly strive to improve our customer service and response to provide you the best experience possible. Please do not hesitate to contact me if I can be of further assistance, my contact information is below. Thank you for being a valued client and we look forward to helping you in the future. Our salesman misrepresented the features we were supposed to get on our car. When he came to our home to deliver the car, we noticed it did not have the features we agreed on. I questioned him and he said those features would require a higher payment. We were in a bind and needed a car that day, so we reluctantly signed. My wife was not home so he said i could sign for her. Anything to deliver a car. He also said that he could get us out of the lease early if we wanted to. He forgot to tell us that there would be a huge fee even if they put us into a new car with them. Companies like this give car dealers/lease bad names. I will be bringing my story to the media as I am still steaming from m y experience. When my 4 year lease is over, I will have paid over list price and need to give it back to them. 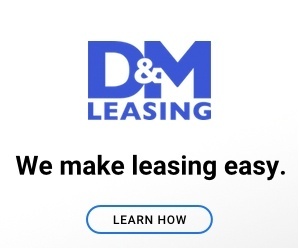 Product or Service Mentioned: Dm Auto Leasing Sales Manager. Preferred solution: I WANT OUT OF MY LEASE NOW. THEY TOOK ME FOR A FOOL. SHAME ON MY FOR SIGNING, AND SHAME ON THEM FOR BEING LIARS!!. Review #1020628 is a subjective opinion of User1020628. Thank you for all of your help, Frank! Testimonial Thank you for all of your help, Frank!